BIOVIA solutions create an unmatched scientific management environment that can help science-driven companies create and connect biological, chemical, and material innovations to improve the way we live. DELMIA Ortems allows manufacturers to synchronize production flow from raw material to finished products with optimized utilization of available resources. DELMIA Apriso allows manufacturers to achieve operational excellence by enabling visibility and intelligence, not just within the plant or across the enterprise but also to the extended supply chain. DELMIA is the Digital Manufacturing and Production Solution from Dassault Systèmes’ 3DEXPERIENCE platform, optimising production systems and processes. DraftSight is a professional-grade, open 2D CAD product for users who want a better way to create, edit and view DWG files. Whether you’re a professional CAD user, student or educator, DraftSight has a support option that’s right for you. TruLASER View projects laser-accurate fabricating information on any 2D or 3D surface. Information from any CAD system can now be laser projected to help streamline production, reduce cycle times, eliminate bottlenecks and improve part quality. 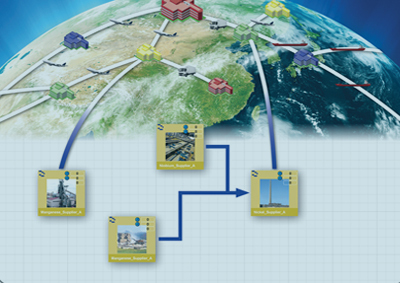 SIMULIA’s Simulation Lifecycle Management (SLM) solution enables product development companies to perform simulation data management as well as test data management to achieve a competitive advantage and maximize investment in simulation technology. fe-safe is the powerful and easy-to-use fatigue post-processor for Finite Element Analysis (FEA), using proven techniques to accurately determine the fatigue life of metal components under complex cyclic loading. The Abaqus Unified FEA product suite offers powerful and complete solutions for both routine and sophisticated engineering problems covering a vast spectrum of industrial applications. SIMULIA 3DEXPERIENCE uniquely provides capabilities that are based upon the Finite Element Analysis (FEA) market leading Abaqus technology, including such technologies as high-performance visualisation of very large models. RAMSIS is the world-leading 3D-CAD-ergonomics tool, designed in collaboration with the German automobile industry for the ergonomic development of vehicles and cockpits. IMS Software (IMSPost, IMSverify & IMSce) adds a new level of detail to your manufacturing processes that encompass complex numerical control (NC) machining. GeomCaliper is an innovative tool that facilitates measurement and checking of thickness on 3D models within CATIA V5 and Pro-Engineer. GeomCaliper enables acceleration of the design review process for manufacturability. Rely on EXALEAD to search, discover, and manage your information assets. Why? For faster, smarter decision-making, real-time unified data access, and improved productivity. ENOVIA VPLM provides a complete set of integrated solutions for virtual product modelling, lifecycle management, and decision support for companies making complex, high-value products. The ENOVIA V6 portfolio offers industry solutions for the enterprise and small to mid-market. ENOVIA is easy to acquire, quick to learn and effortless to master. ENOVIA SmarTeam is a Product Data Management (PDM) solution that enables organisations to manage and collaborate on product information. Data is accessible across multiple disciplines, both throughout an enterprise and across a supply chain. Powered by the 3DEXPERIENCE platform, ENOVIA is the PLM system that enables your innovators to benefit from the true rewards of collaboration. Delivered in four role-based domains, DELMIA PLM Express allows small and medium-sized manufacturers to take the first steps towards PLM. DELMIA 3DEXPERIENCE enables manufacturers to create digital models that virtually simulate products, processes, and factory operations. Designed to operate on a PLM 2.0 platform, CATIA V6 is a 3D collaborative solution linking designers and non-CAD specialists. Note, the CATIA Portfolio has been rebranded, with the latest V6 release now being referred to as CATIA 3DEXPERIENCE. CATIA V5-6R2018 drives higher Design excellence – With this latest release, the benefits of the 3DEXPERIENCE platform become accessible for true V5-V6 seamless collaboration. CATIA V5 Web-based Learning Solutions (WLS) is an easy-to-use learning and support system. It provides all the required information and training in one source for maximum assured productivity of the user community. CATIA V5 offers highly intuitive tools to easily create, validate and modify any type of surfaces, from freeform surfaces to mechanical shapes. CATIA – Mechanical Design Solutions provides products for intuitive specification driven modeling for Solid, Hybrid and Sheet Metal Part design, Assembly design and Integrated Drafting. CATIA V5 Machining surpasses all the existing industry proven suites of NC Manufacturing applications. CATIA V5 Machining delivers best-in-class products and solutions that enable manufacturing industries to plan, detail, simulate and optimize their machining activities to build better products. SIMULIA makes virtual testing a standard business practice that improves product performance, reduces physical prototypes, and drives innovation. The SIMULIA product portfolio offers the most up-to-date and advanced simulation products, including Abaqus FEA, Isight, fe-safe and Tosca. The CATIA Engineering Excellence offer brings together a large set of CATIA V5 applications, powered by the 3DEXPERIENCE platform, allowing improved collaboration alongside strong CAD management capabilities. CATIA Engineering Excellence contains three packages to get you ready for CATIA 3DEXPERIENCE. Improve the way you create, update, and distribute product information with CATIA Composer. CATIA Composer intelligently encourages accurate reuse of 3D product data for all business departments including manufacturing, service, support, marketing, training and sales. CATIA 3DEXPERIENCE provides a lean and intuitive environment for all design and engineering activities. 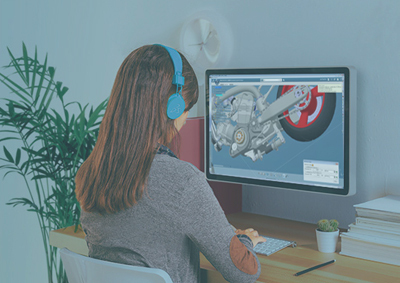 The CATIA 3DEXPERIENCE Processes Portfolio contains over 50 Roles which support User Experiences in Design/Styling, Mechanical Engineering, Electrical and Fluids Engineering, Multi-Discipline Engineering and Systems Engineering. CATIA offers a complete engineering toolset within a single working environment. Products for disciplines as diverse as Composites and Electrical design sit side by side with traditional solids, surfacing and drafting workbenches within a seamless and consistent user interface. Combining the key applications from the Dassault Systèmes software brands, the 3DEXPERIENCE platform is a simple, unified PLM environment. The architecture means that product data can be transferred seamlessly between all applications, providing the user with a single, easy-to-use interface. In the global development process, data exchange is getting more important every day. Complex file sets are sent from cooperating development departments to other companies worldwide. Proactively detect health problems of your 3DEXPERIENCE system to guarantee availability and smooth operations. Understand how the platform is used and spend effort where it brings most value. With myPLM add-ons, you can expand the functionality of myPLM and simplify the usage of your CAx-environments. TECHNIA has more than 10 years experience in JT development, services and consulting. This function is part of LiteBox3D Desktop Pro but is also available as a standalone command line utility. Therefore, properties of JT models can be edited interactively or in batch mode. LiteBox3D Web Viewer is an easy to use JT viewer, based on the specification of the JT ISO 14306:2012 standard. It is equipped with powerful APIs that allow easy integration in any browser-based application. LiteDrop is a process application based on the TECHNIA JT viewer LiteBox3D. LiteComply checks whether the JT models are compliant with the development policies of customers regarding geometry, structure and methodology. Thereby meeting the requirements for the follow-up processes. CAVA Tools is a collection of CAVA functions that is only available in the CAVA All bundle but none of the single products. Q-PLM technology is based on TECHNIA’s tremendous experience of integrating Q-Checker with an extensive list of PDM systems, including Dassault Systèmes ENOVIA SmarTeam, ENOVIA MatrixOne, and data exchange servers such as OpenDXM, TRUfusion and SWAN. Q-Monitor makes Product Data Quality (PDQ) visible throughout the entire process chain, providing results that reflect either the current status or data quality over time. Access all your important ENOVIA data, when you want it, where you want it. TECHNIA’s Mobile Access allows you to work with ENOVIA data from the convenience of your mobile device with a fun interactive interface. TECHNIA’s File Manager takes all the guesswork out of file management in ENOVIA. File Manager keeps track of your files, and ensures redundant data is eliminated. Making your users faster and your quality high. TECHNIA’s Graphical Reporting module allows you to view your data in an immersive visual interface, allowing you to quickly find data or make key decisions based on accurate and real-time reports. The XBOM Manager module delivers advanced baseline capabilities that can be used for a variety of purposes. For example, the handling of as manufactured, as delivered and as maintained structures. The MCAD Optimizer Component enhances the usability of MCAD integrations based on the ENOVIA Integration Exchange Framework (IEF). This is achieved by simplifying the GUI and reducing the number of dialog windows and mouse-clicks. TECHNIA’s Report Generator lets you get the most out of your ENOVIA implementation. By providing the tools to extract and format defined reports, you can make clear decisions and be sure that everyone has access to the latest data. The Structure Browser Component enhances the ENOVIA standard interface by providing a fully interactive visual representation of any structures and a flat list of items. The VDA surface interface (VDAFS) is a neutral CAD interface which permits the interchange of 3D geometries between different CAD systems.